Bursting out in a glorious explosion of anti-cool garage rock, INHEAVEN are about to embark on an awesome Autumn tour. Bashing away at their guitars like their lives depend upon it, their tour brings them to some of the coolest small stages and clubs around the country where you can check them out for yourself. There is just one problem. Their ever growing arsenal of anthems, with their colossal depth of sound and incredibly catchy hooks, already sound like they would be better suited on a much larger stage and mark them as the first band in a long time that seem destined for the big time. Just check out the insane bass on Regeneration. It ploughs through the verse, pauses for effect just before chorus then slams you over like a sledgehammer three seconds later. Also, their call to arms Baby’s Alright. Something akin to a modern day counter culture classic, the verse lyrics decry the hypocrisy of western pre-emptive wars only to be met with the very American rock and roll refrain at the chorus. Horror and ambivalence meet in a similar fashion to Coppola’s Apocalypse now, but with breezy guitars and catchy hooks. 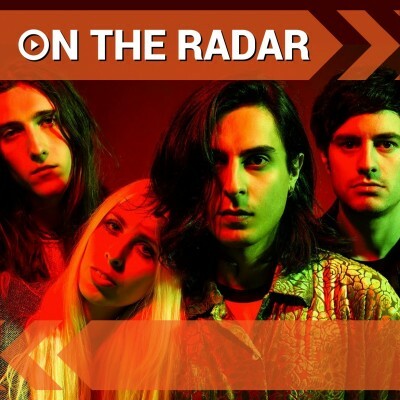 They have just released new song Drift in the past two weeks which with its his and hers double vocals and euphoric use of strings begs to be staged somewhere that can match its grandiose ambitions. All these amazing tracks and they still don’t even have an album out yet! So with all this obviously apparent potential do not be surprised if the next time you see an INHEAVEN poster on the wall they are booked to play a stage with a lot more people. But then, at least you can brag about how you saw them back in 2016 just before they were really big! Click HERE for your INHEAVEN tickets. It has certainly been a busy year for prodigious rapper Vic Mensa. Not only has the twenty three year old's vocal talent been used on the latest Kanye West album The Life Of Pablo for the track Wolves and has been selected to play support for Justin Bieber on his European tour, but he has also just released his debut EP There’s A Lot Going On. Chicago rapper Victor Kwesi Mensah had already appeared on Chance The Rapper’s high profile mixtape Acid Rap before becoming a member of funk rap band Kids These Days. Following their split in 2013 Mensah released his free digital download mixtape INNANETAPE which caused such a stir it was listed by New York magazine Complex as one the must hear albums of that year. Signing to Virgin Records the following year he released the hit single Down On My Luck with broke the Top 40 in the UK whilst also appearing alongside indie icon Damon Albarn to perform Clint Eastwood live on stage with his project Gorillaz. Mensah is reportedly to appear on the upcoming Gorillaz album expected later in the year. The newly released EP There’s A Lot Going On is compelling and provocative in its use of both singing and rap to delve into such issues of anxiety, depression, the Flint water crisis in which the people of Michigan are not being provided with adequately clean water and the murder of Laquan McDonald who was shot sixteen times in just thirteen seconds by Chicago police officer Jason Van Dyke in November of 2015. Only released at the beginning of June, the EP shot to #1 of the Top Heatseekers Chart and acts as a teasing prelude to the debut album expected to be released very soon. Catch him when he headlines cool London club Heaven next week. Click HERE for your Vic Mensa tickets.